From 2005 - 2008, when I was not attending to patients in my capacity as an Obstetrician & Gynaecologist, I performed voluntary police duties in Bournemouth, UK where I was qualified as a special police constable. Although both jobs were demanding and entirely different, they actually complement each other in many ways, serving only to further enhance my personality development and my understanding of fellow human beings. 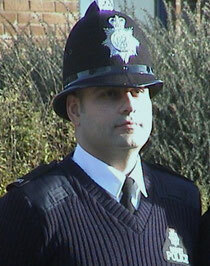 As a special constable, I benefited from similar training to that of a regular police constable. I had the same powers and undertaken the same duties. However, I did so on a completely voluntary basis in my own spare time. Through the varied work of a special constable, I gained invaluable practical experience and learned transferable skills that I utilized in my medical career. These included; decision-making, problem solving, effective communication, leadership, negotiation, team building, personal responsibility and dealing with conflict effectively. If I did not leave the UK, I would still be volunteering my time in this service. Therefore, I will be very interested in pursuing similar exciting and challenging voluntary opportunities her in Canada.